I love strawberry. 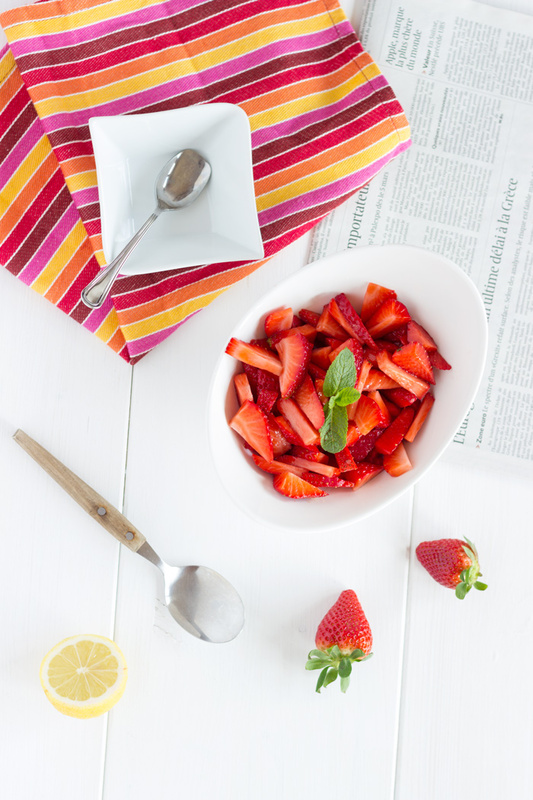 As far as I can remember, strawberries have always been my favourite fruits … and flavour … Always eating a tone of strawberry ice cream as a child, now I rather prefer strawberry sorbet or the non-transformed fruit. I would like to eat fresh strawberries all year round. However that’s not always possible. In winter, usually, you do not have strawberry or they come from Spain and aren’t always really tasty. I prefer to eat them just like that without adding any sugar. But the early strawberries, like the ones I found last week-end at a French supermarket do not have a lot of taste unfortunately. This is my way to make them taste better, as I said all year round. My grand-mother used to follow these steps with all kind of fruit salads. A bit of lemon juice and sugar and in the fridge for few hours. Her fruit salads were always the best! You should have tried them. Delicious! Adrien always told me that he rather prefers to eat strawberries alone, just like that. 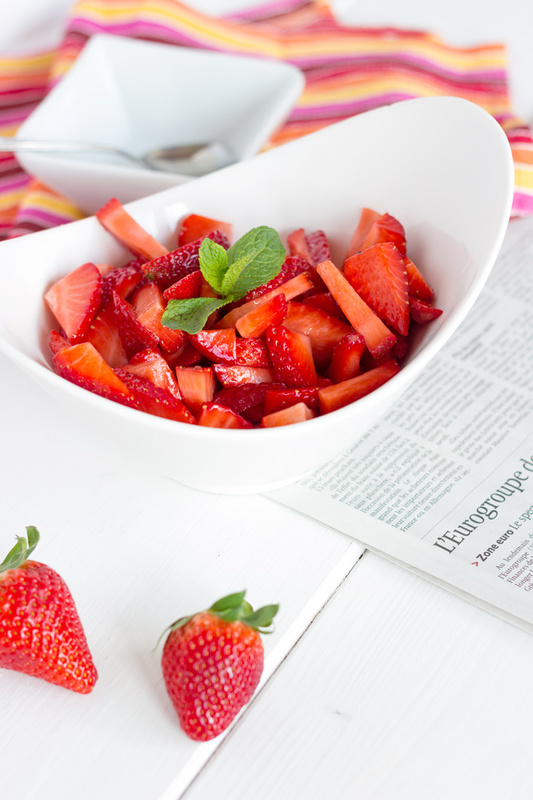 However we ate these delicious strawberry salad for brunch on satursday and we ate them all! Waiting for the season even so I have found plenty in my local supermarket already! Next step? I will borrow the ice making machine of my mother in law to make a strawberry sorbet! Wash and hull strawberries. Cut. Wash and finely chisel mint. 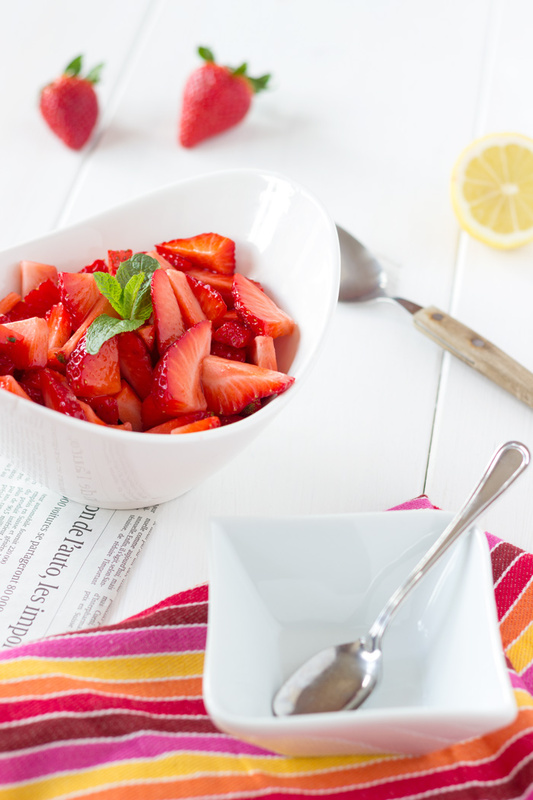 Mix strawberries with lemon juice, sugar and mint. Refrigerate at least 1 hour.